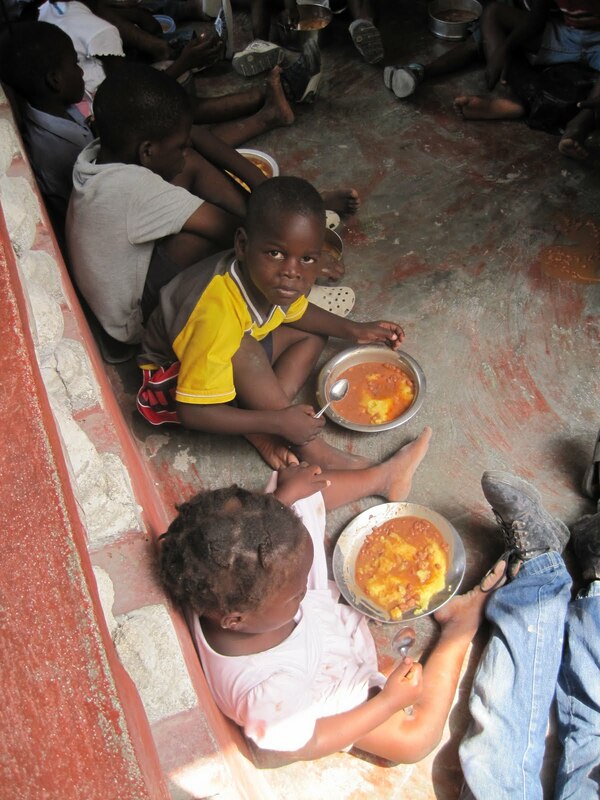 Today is the one-year anniversary of the devastating earthquake in Haiti. It’s hard to believe it’s been a year since that horrible catastrophe that killed over 250,000 and evoked a paroxysm of giving — $1.4 billion from the US alone. A lot will be said about the lack of progress and questioning where the money went & what good it did – only 5% of the rubble has been removed and what remains is 20 million cubic yards of collapsed concrete and debris. One million people are still displaced and living in canvas tents – a haunting 380,000 of them children. These are not hopeful statistics. But my friends at the Restavek Freedom Foundation (see my post from February 6) sent me a letter on Monday and founder Jean Robert Cadet and exec director Joan Conn had a slightly different story to tell. 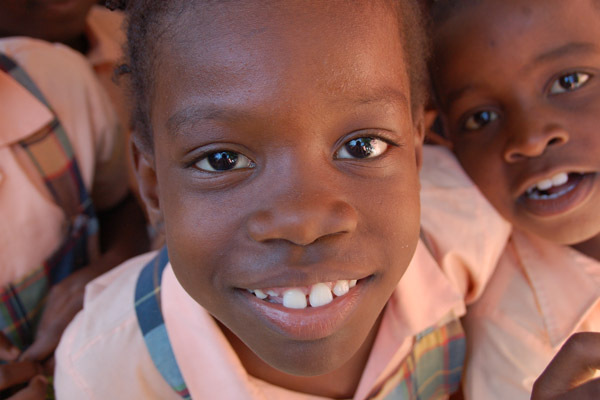 A restevek child himself (the word is Creole for “stay with”), Cadet has dedicated his life to ending the practice of virtual enslavement of children in Haiti. And since the earthquake, RFF has been working tirelessly to reach children and people in need — and seeing real results. In the first 12 weeks after the earthquake RFF gave away 72,390 meals – about 6,000 meals a week to those in desperate need. Of the 394 restevek children they were advocating for before the earthquake, they managed to locate 283 — 7 perished in a collapsed school, 54 moved to a different location, and 50 simply couldn’t be found, despite a herculean effort to hunt down every clue and reconnect with the missing children in towns and villages throughout Haiti. 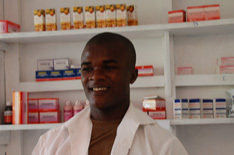 Restevek Foundation opened two new medical clinics offering free medical care,staffed by people like Jean Yves who takes a 5-hour bus ride to Port au Prince every Friday to minister to the people who line up outside the clinic at 4AM. 426 restevek children have returned to school, with tuition, uniforms and supplies being paid for by RFF, and 130 adult women also are learning to write their names for the first time through RFF’s literacy program. 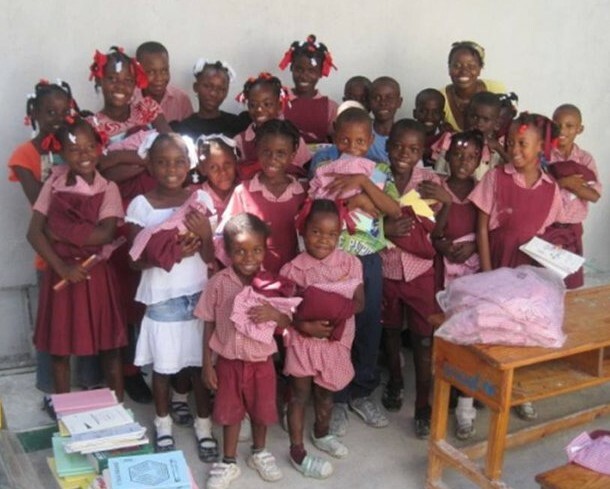 And children in schools all over Haiti are learning through the Kombit program to challenge the accepted tradition of having resteveks, which is the real kernel of change. It’s not easy to feel positively about Haiti, given the enormity of the problems the country still faces, its dubious elections, and a long history of governmental corruption and ineptitude, but if these people on the ground have hope, I can only second that emotion. Keep the faith, people! Long live Haiti! Posted in Charities, Children, Disaster Relief, Education, Faith, Foreign Aid, Healing, Philanthropy, Positive Initiatives, Special People	| Tagged After the earthquake, Child slavery in Haiti, Corrupt & inefficient government in Haiti, Displaced persons in Haiti, Dubious election in Haiti, Education for restevek children, Emergency food for Haiti, Free medical clinics in Haiti, Haiti, Jean Robert Cadet, Keeping the faith in Haiti, Literacy programs in Haiti, Political challenges in Haiti, Port au Prince, Restevek Freedom Foundation, US Aid to Haiti, Where did the money go? I know I’ve said this before, but it always amazes me to see the smiles on the faces of people who are living in nearly intolerable conditions — and then to think about the prevalence of depression in the US and Canada. One of the great lessons I’ve learned from reading your blog is that we can find real joy by simply looking around and thinking about what someone else might need. 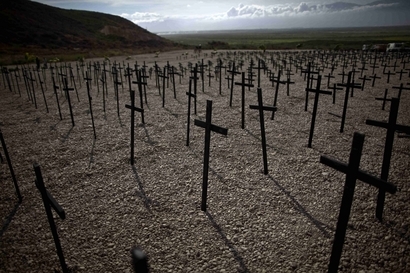 Thanks for remembering Haiti today. It’s nice to hear that there are some positive things happening there. I can’t imagine how an adult woman who learns to write must feel. i’m still stuck on the 380,000 children displaced. I don’t think I’ve taken a breath in several minutes trying to fathom that in my brain. I wish I could comfort them all.